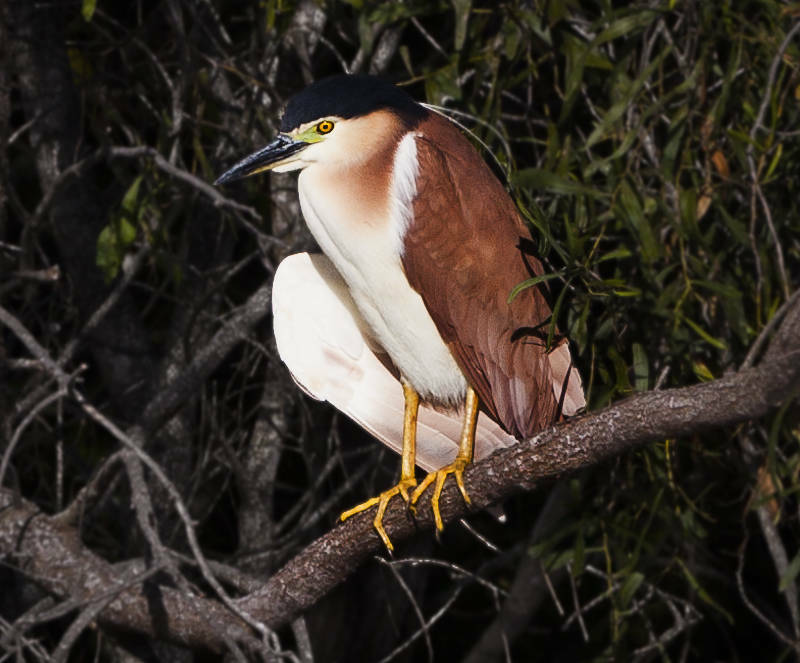 This bird is a Nankeen Night Heron. We saw it one morning at a campsite called Ban Ban Springs in Queensland, Australia. This image needed some work in Photoshop so I have shown the layers below. I added some blur and desaturation to the background and used a multiply layer on the heron to bring out some more detail.